Windows 10 notifications going by too fast? Here's how to slow them down. One of the nicest features that Microsoft added to Windows 10 is the revamped Action Center and the new notifications system. Instead of just seeing a bunch of glowing icons on your taskbar, Windows 10 notifications pop out of the bottom-right side of the screen. For some people, however, these notifications might be coming and going too quickly. 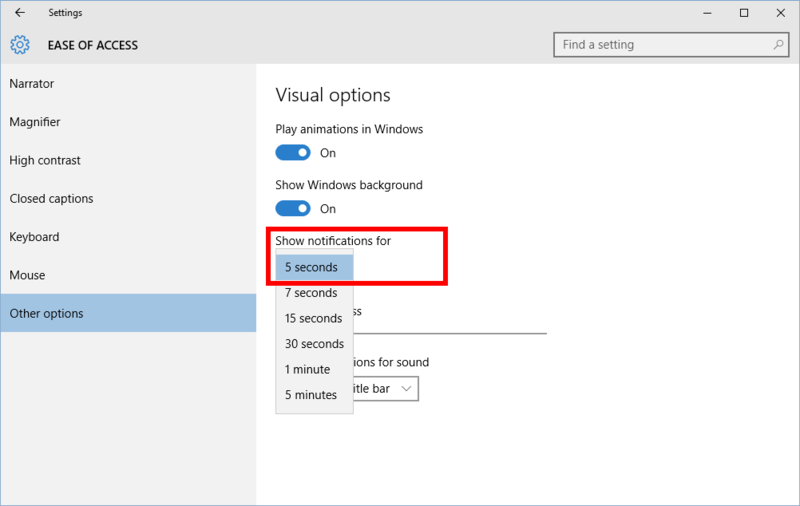 By default, Microsoft sets Windows 10 notifications to pop out and stay visible for five seconds before disappearing into the Action Center. That’s a good amount of time for most people, but if you'd prefer that notifications stick around just a little bit longer, you can make that so. 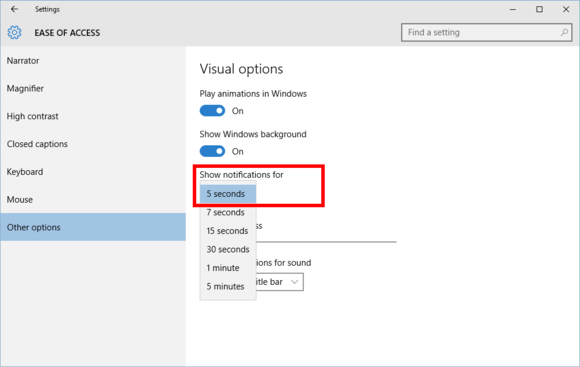 How long is too long for Windows 10 notifications? That’s up to you. In fact, you can ask notifications to stick around for another two seconds or as long as five minutes. To change your pop-out notification time click on Start and select Settings to open the settings app. Then go to Ease of Access > Other options. The third option down is Show notifications for. Select the drop-down menu under that heading and choose whichever of the six time options is appropriate for you. Keep in mind this is a per-notification setting. 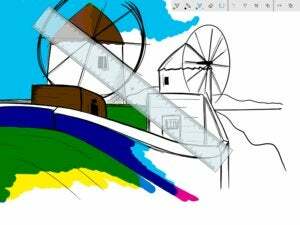 If you choose 15 seconds then notifications will sit on the bottom right of your screen for 15 seconds each. Choose 30 seconds and they’ll be there for half a minute, and so on. Whether you want a longer notification time due to a physical disability, or it’s just the way you like it, there are tons of options available to suit everyone. One thing I would advise, however, is not to extend this notification too long if you are using an email client like Outlook 2016 or the built-in Mail app. Pop-out notifications can quickly become a living hell if you get a lot of email every day. In fact, this would be an ideal time to reassess which apps are allowed to send you notifications. 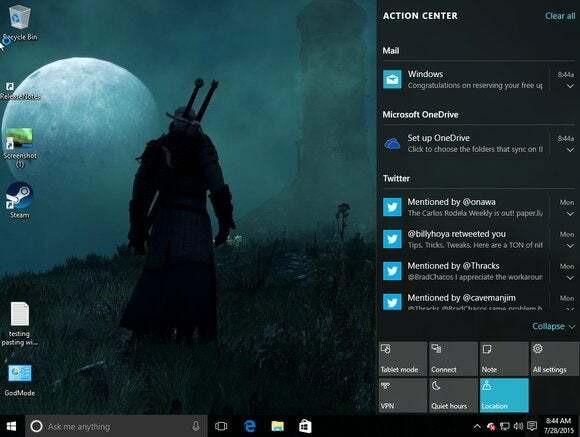 Check out our earlier tutorial on how to customize Windows 10’s Action Center for more details on how to curb your incoming notifications.